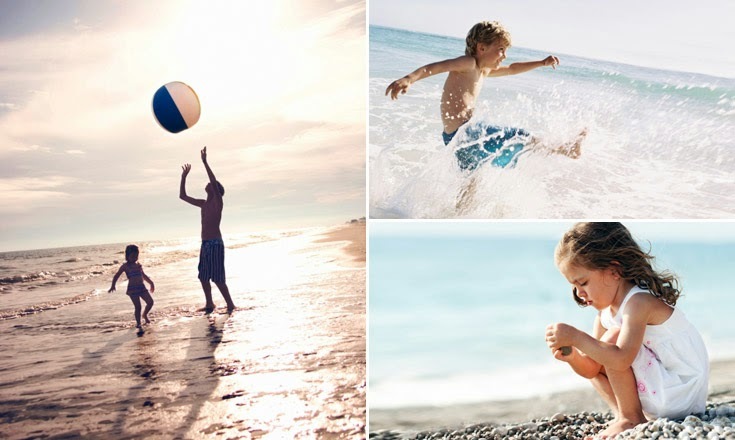 Children playing in the sun, is a wonderful sight! Unfortunately, it is not entirely risk free for the children to play in the sun. Here you can read more about how to protect your children from the sun's harmful rays. The sun's UVA rays give us a nice tan, but they do more than just trigger melanin - the substance that gives color. They also affect our, and especially our children, immune system, increases the risk of skin cancer and aging. It is the sun's UVB rays that make skin burns. Approximately 80% of the radiation we are exposed to get before we turn 18 and, therefore, good sun protection habits from an early age be all and end all. I am the mother, and the sun's harmful effects worry me, so I asked Holly Grenfell, Oriflame skin care expert , for advice. What kind of sunscreen should I use on my kids? 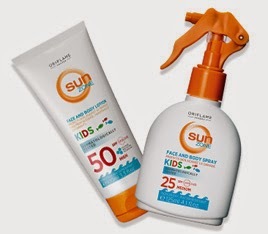 - A sunscreen made ​​for children with both UVA and UVB protection, a wide-brimmed hat (not a cap) and preferably UV clothing. What precautions should I take before I send the kids outside? before you go out? - Come sunscreen 20 minutes before they go out. In this way, the skin time to absorb the cream. You need to use more cream than you think! We often use too little sunscreen. Remember the particularly vulnerable areas such as ears, knees, backs of hands and hairline. How should I react when they are outside? - Avoid staying in the sun from time. 10:00 to 15:00 and came sunscreen every 45 minutes or more often if swimming or sweating. Make sure that they are staying in the shade and wearing UV clothing, hats and sunglasses. It takes up to 12 hours before sun damage emerges and it look like red cheeks, easily transforms into sunburn. What should I do if my child is scalded? Is there anything else I should be aware of when it comes to sun protection? - UV rays penetrate through clouds and even though we live in the north, so we have as much need of protection, as we lived closer to the equator where the sun is generally stronger. The reason is that the days are longer north. Also check the expiration date on your sunscreen. The loss for its performance over time. water, apply moisturizer and give them plenty of fluids. Allow the bubbles, which is caused by the sun, may have. Covering the blisters more than 20% of the child's body, the child develops a fever and reduced the red color does not, you should contact a doctor or a dermatologist.